In Stephen own words “the Kimmeridge zone is alive and kicking” K3 limestone zone has been tested and is commercially viable with the rates we have produced. We are now testing the upper layer in K4 Kimmeridge Limestone Zone. 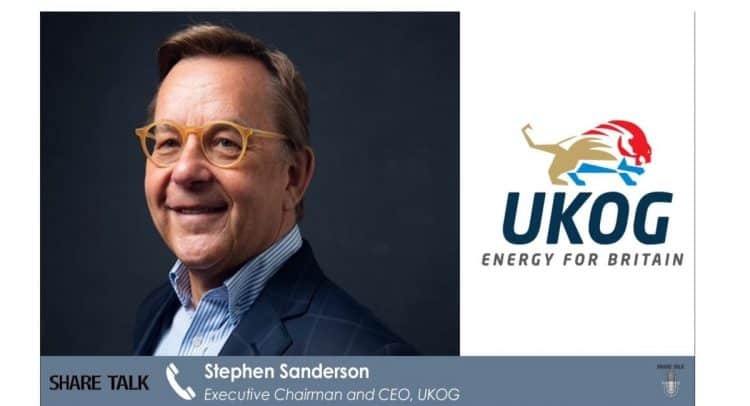 15 November 2018 – UK Oil & Gas PLC (London AIM: UKOG) announces that Horse Hill Developments Ltd (“HHDL”), a UKOG subsidiary company and the operator of the HH-1 Kimmeridge Limestone and conventional Portland Sandstone oil discovery, has informed the Company that total oil production from the 2018 EWT has reached 13,920 barrels (“bbl”) approximately 2.21 million litres, with gross oil sales revenues of approximately US$1.1 million. 2018 HH-1 oil production comprises 10,248 bbl (1.63 million litres) of 40° API oil from the Kimmeridge Limestone 3 (“KL3”) and 3,672 bbl (c. 584,000 litres) of 35° API oil from the Portland. No formation water was returned to surface from either the KL3 or Portland. The KL4 EWT programme is planned to commence shortly following the ongoing final KL3 pressure build up test. HH-1 is located in licence PEDL137 in which UKOG holds a 46.735% beneficial interest. · Approximately US$1.1 million gross 2018 HH-1 oil sales achieved to date from the KL3 and Portland (this figure excludes the KL4 oil reservoir, which will be tested shortly). · 13,920 bbl (2.21 million litres) total KL3 and Portland production as of 0700 14 November. · 10,248 bbl (1.63 million litres) of 40° API produced solely from the KL3 as of 0700 14 November. · 15,860 bbl (2.52 million litres) aggregate total oil production from the 2016 and 2018 tests. · 10,248 bbl of KL3 oil was produced over 30 days of sustained daily natural and pumped flow from an 83 ft perforated interval. The programme included 9 days of pressure build-ups (or “shut-ins”) and downhole sampling. Production was achieved via a variety of choke sizes whilst maintaining stable bottom hole pressures. No formation water was returned to surface; however, small intermittent slugs of completion brine were recorded. · KL3 produced at an initial metered sustained natural flow rate of 771 barrels of oil per day (“bopd”), with a maximum recorded half hourly rate of 902 bopd. The average sustained daily rate over the full test period was 342 bopd. Prior to the final shut-in period the well was producing oil at a stable bottom hole pressure of around 800 psi. · Total KL3 gas production to date is 3.5 million cubic feet (“cu ft”), with daily produced amounts through the enclosed flare falling within the Environment Agency’s permitted limits and parameters. · EWT results to date indicate that the KL3 oil pool “seen” by HH-1 is commercially viable. Consequently, following completion of the KL4 EWT, continued test production of a commingled KL3 and KL4 oil stream is planned. · Other than at weekends, when planning restrictions apply, over 40 road tankers (of 220 barrels crude oil capacity) have exported KL3 crude oil to BP’s Hamble oil terminal, with around 500 barrels of stock tank oil remaining at the site for subsequent export. The KL3’s Brent quality crude has been sold at prevailing Brent crude oil prices less a small deduction for handling. · KL4, which flowed at a reported stable dry oil rate of 901 barrels of oil per day over a 4-hour period in 2016, will be flow tested after completion of the current KL3 pressure build-up. “The 2018 EWT’s total test production of almost 14,000 barrels of oil, with over 10,000 barrels to date from the single Kimmeridge KL3 horizon, firmly establishes Horse Hill as a commercially viable oil field. These “hard fact” production numbers, together with the million dollar sales revenues, undoubtedly mark the most significant milestone in the Company’s short history. The Company will spare no effort to push Horse Hill towards full time production in late 2019/early 2020.